Protect your iPhone and iPod with these stylish Etch-a-Sketch hard cases. 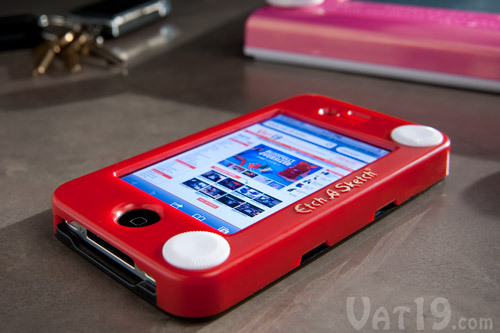 Made from impact-resistant ABS plastic, the Etch-a-Sketch case is available for the iPhone 4S, iPhone 4, iPhone 3G/3GS, and the iPod Touch 4th Generation. Please note that the knobs are ornamental and do not turn. We know how important your iPhone and iPod are to your digital lifestyle. That's why you need a tough case to protect your precious gear. But who says it has to look like something issued to Navy SEALs? Have a little fun and protect your device with these officially-licensed Etch-a-Sketch® iPhone and iPod impact-resistant hard cases. 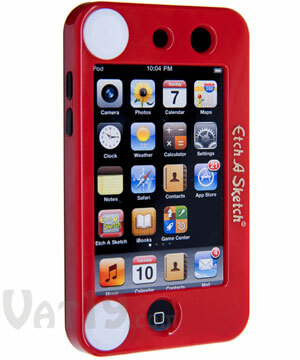 Go retro cool with the officially-licensed, impact-resistant, Etch-a-Sketch iPhone or iPod case. 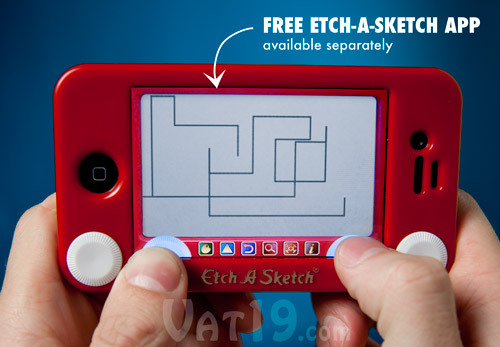 Download the free Etch-a-Sketch® app to complete your Etch-a-Sketch® experience and relive the glory days of kindergarten. Please note that the knobs on the case are ornamental and do not turn. If you're simply itching for a mini Etch-a-Sketch®, check out our mini Etch-a-Sketch® pen. 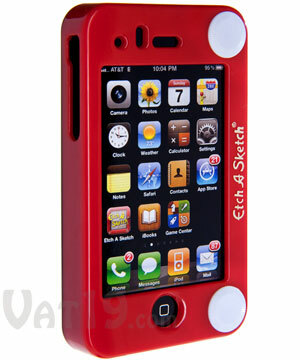 The Etch-a-Sketch® app is the perfect companion for the Etch-a-Sketch iPhone case. 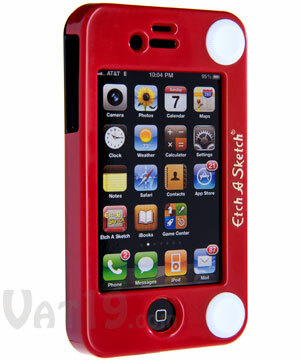 Etch-a-Sketch® cases are available for the iPhone 4/4S, iPhone 3G/3GS, and iPod Touch 4.